Australians are eating marginally less seafood than they were a year ago new Nielsen research has revealed. According to Nielsen, the overall dollar sales for seafood fell 0.3 per cent in the 12-months ended 25 March 2017, when compared to the prior 12-month period. Nielsen said the fall was driven by a slight decline in both the number of households purchasing seafood and how much seafood was purchased by households. The study however found that seafood was still purchased by 95 per cent of Australian households within the year, with each household spending an average of AUD $160 across 16 different shopping trips. Fresh seafood accounted for 49 per cent of all purchases, canned 26 per cent and frozen 25 per cent. “Nielsen Homescan shows that while fresh and chilled make up the largest proportion of sales, the number of consumers who purchase fresh or chilled exclusively is very low – 85 per cent of buyers shop across two or more seafood segments while in store,” Nielsen said. 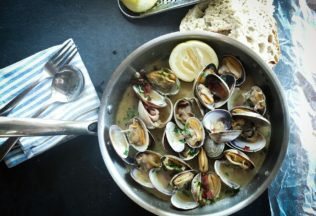 Nielsen reported that while many Australians eat seafood, there is an opportunity to encourage more consumption with food innovation that caters to consumers evolving needs and tastes. Such innovation could come from within the frozen seafood category with frozen sales increasing 1.8 per cent in the 12 months ending 25 March 2017. “The segment has attracted an additional 519,000 households in the past year with sales increases driven by innovation and new products in the freezer – especially calamari and uncooked prawns,” Nielsen said. Nielsen reported improved convenience, more choice and catering to ethnic groups which enjoy seafood were also areas that could be explored by food producers. “For example, offering healthy and convenient seafood meal options that appeal to time-poor families across the key segments; and also considering new flavour options that is consistent with a more adventurous and multicultural consumer palate,” Nielsen said. Behind every customer question is a potential business opportunity.